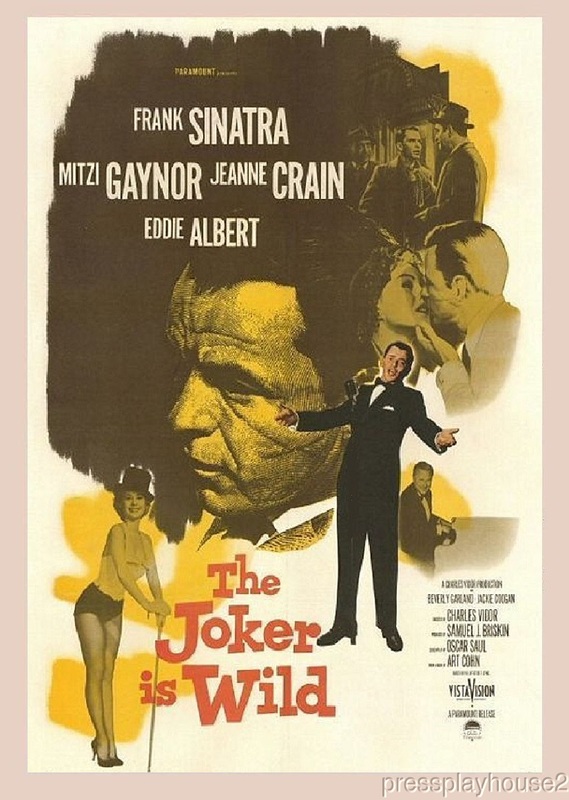 The Joker Is Wild: Dvd, 1957, Frank Sinatra, Jeanne Crain, Mitzi Gaynor, Classic Sinatra! BRIEF PLOT SUMMARY: FRANK OFFERS AN AMAZING JOB OF ACTING PORTRAYING THE TUMULTUOUS ENTERTAINER JOE E. LEWIS. COMMENTS: SOME OF FRANK'S CLASSIC SONGS ARE FEATURED HERE IN THIS (NOT TO BE MISSED) BIO/MUSICAL MELODRAMA..